Modeled after a floating marine laboratory and environmental classroom powered by renewable energy in New York, a science barge is set to open in Miami’s Biscayne Bay. The project will offer students and the public an opportunity to engage in interactive experiences on the floating marine innovation lab, with a hydro/aquaponic garden and education center. The Miami Science Barge is a project shadowing the original New York barge, which opened in 2007 and was designed by Ted Caplow, a Miami resident and founder of Caplow Applied Sciences (CappSci), an organization applying science to challenges affecting the globe. The project is a finalist in the Knight Cities Challenge, which recognizes ideas that encourage civic engagement and expand economic opportunity. It is expected to open by January 2016 and will offer guided tours to the public for free with a suggested donation. The barge will educate on environmental science and sustainability through a curriculum focusing on Biscayne Bay. It will also offer interactive experiences, like water quality testing, growing food and fish with minimal pollutants, and using underwater drones, allowing visitors and students to learn about native species and their place in the ecosystem. 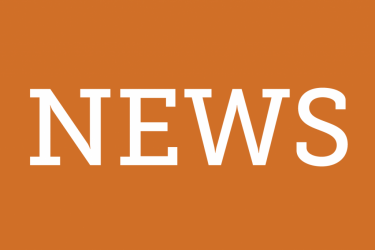 Alissa Farina, innovation associate at CappSci and a University of Miami alumna who assists with the project’s program implementation and development, said educational value is a key component of the project. For college and graduate students, the barge will be a platform for conducting research and collaborations. 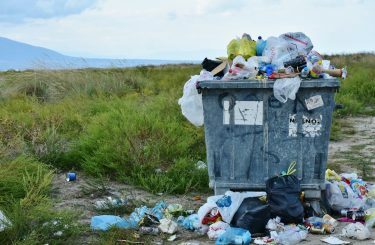 In addition, it plans to host programs opening discussion on environmental topics like restoration, ecology, sustainable food supply, and citizen involvement with local scientists. Kenneth Broad, a programming advisor for science and education for the project, is confident that experimental, hands-on learning is the best way for visitors to learn about the environment. He hopes those who visit the barge will learn more about Miami’s environmental issues, including sea level rise and land-based pollution that runs into the bay and ocean. Nathalie Manzano-Smith, director of innovation at CappSci and the Miami Science Barge project lead, helped start the Miami barge after visiting the one in New York. The New York barge, which was in the process of closing down for the winter when she visited, sparked her idea to open a barge in Miami that could be available year-round. “We determined that there are very few opportunities for Miami residents to get on the bay in low-cost/no cost ways, and we thought the barge would be an amazing platform to teach about the South Florida environment in an experiential setting,” Manzano-Smith said. Caplow was supportive of the idea to re-create the original platform in Miami and took on the role of chief technical designer. “He has assisted us by bringing his experience creating the original barge to help guide us through the process,” Manzano-Smith said. 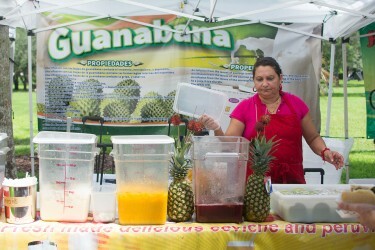 Starting the project in Miami involved bringing together community leaders. This included help from Rosenstiel School of Marine and Atmospheric Science professors Dan Benetti and Josh Grubman, who assisted with the design of the aquaponic gardens. Rachel Silverstein of Biscayne Waterkeepers, who holds a doctoral degree from UM, helped with water quality testing. 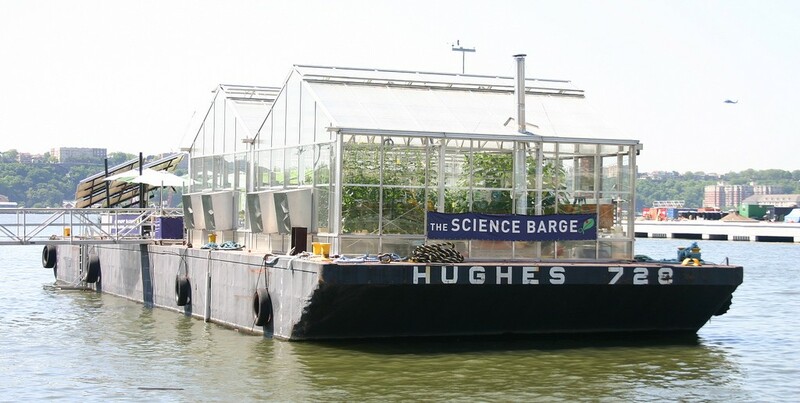 The Frost Museum of Science designed an educational curriculum for the barge, along with Karlisa Callwood, a UM doctoral candidate for ecosystem science and policy. 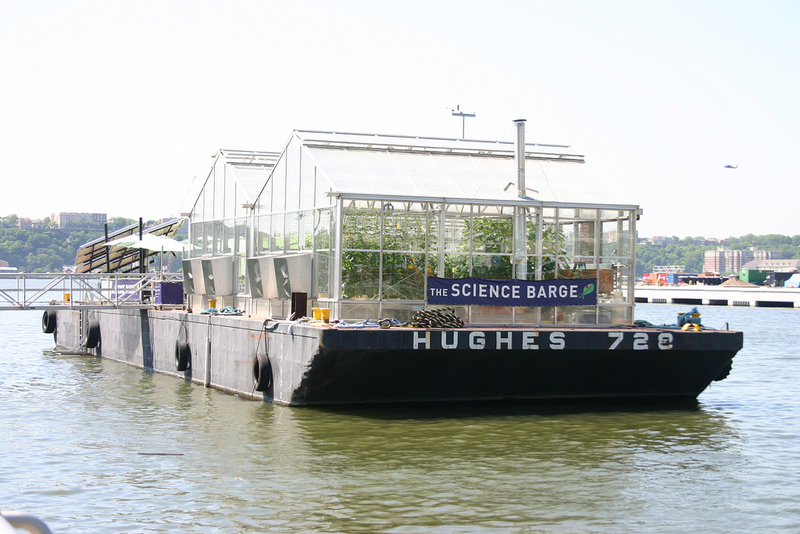 The Science Barge will be part of the Knight Cities Finalist Showcase on Feb. 24. For more information on the project, visit facebook.com/miamisciencebarge.